Baja California offers international flair without navigating too far from home. BAJA CALIFORNIA — Hollywood has certainly had a field day of presenting the everyday American venturing south of the border to experience life in Mexico. Examples include the romantic comedy “The Mexican,” neo-noir thriller “Get the Gringo” and the western classic “Two Mules for Sister Sara.” These films, of course, have no bearing on the everyday life of Southern California boaters, other than to loosely connect the presence of Americans in Mexico. Southern California’s boating and sportfishing communities have been dipping south of the border well before Hollywood found a niche for adventurous storytelling in Mexico. Several cities in Baja California – Ensenada, Los Cabos, La Paz, Loreto and San Felipe – serve as idyllic boating destinations for those who seek international adventure while navigating relatively close to Southern California. Mexico’s Baja California – the world’s third-largest peninsula – is a major draw for Southern California’s boating and sportfishing communities, home to several resort marinas and landings hosting offshore fishing jaunts. Boaters who dock or anchor in any of Baja’s boating destinations have the gamut of activities to explore – assuming they actually want to get off their boat. The state of Baja California, for example, is home to Ensenada and San Felipe. Both cities are perhaps the most “convenient” of Mexico’s boating destinations, as both cities are relatively close to the United States. San Felipe is specifically ideal for trailer boats, though there are plenty who are content navigating all the way down the Pacific Ocean to Los Cabos before turning back up the Sea of Cortez. Ensenada, meanwhile, is the first port of entry into Mexico for boaters navigating or traveling from San Diego and points north. Hotel Coral and Marina is a popular destination for boaters arriving (and docking) in Ensenada. Sportfishing and boat rental activities can be found at the marina closer to Ensenada’s Malecón. For those who want to trek farther south there is Baja California Sur, home to Los Cabos, La Paz and Loreto. Cabo San Lucas and San José del Cabo are both at the bottom edge of the Baja California peninsula and separated by 21 miles. Sportfishing is a major draw at the Capo (or Cabo), though resorts, restaurants, and golf courses also dominate the tourism scene in Los Cabos. Both cities also feature a marina for boaters to dock. Sportfishing is just as prevalent in La Paz as it is in Los Cabos, with anglers heading out to what is also known as the Gulf of California by the droves throughout the year. Marina Costa Baja, Marina Cortez and Marina La Paz are among the top destinations here for boaters. Those who dock and venture into the city will find a large variety of dining options, both along the Malecón and within the city’s interior. La Paz, for the most part, is a seafood lover’s paradise. Mazatlan and Puerto Vallarta are popular destinations for those seeking to navigate from La Paz or Los Cabos to the Mexican mainland. 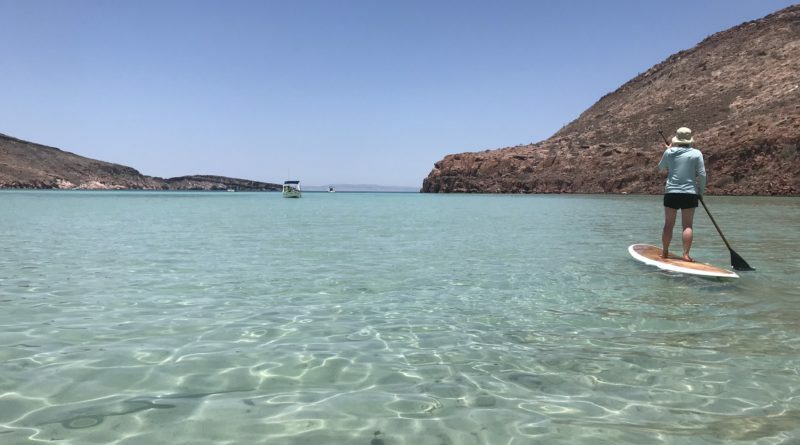 Then there’s the small town of Loreto (approximate population, 18,000), where efforts have been underway to draw in anglers, boaters and other outdoors enthusiasts as an alternate destination. A new ownership group at Puerto Escondido, a few miles beyond city limits, is angling to make the tranquil (and protected) marina area a jump-off for competitive and recreational sportfishing (in addition to other on-the-water activities). Golfing, boating and overall vacationing are draws at Villa del Palmar at The Islands of Loreto, which is about 45 minutes south of town, and Hotel Loreto Bay (in between town and Puerto Escondido). Isla Carmen and Isla Danzante are also recreational destinations just off the Loreto coast. Alaska Airlines (from Los Angeles) and domestic Mexican airlines (from Tijuana) service Loreto’s international airport for those who do not want to navigate to Baja California Sur’s central Sea of Cortez coast by boat. Navigating to Mexico aboard your boat could well be a regular adventure, particularly if you’re in search of an international destination relatively close to home. The resorts are peaceful and offer all the bells and whistles of the best hotels. Food and recreational options are aplenty. And, the marinas are all more than serviceable for boaters with even the highest expectations.